Oliver Goldsmith joined Keating Chambers in March 2009, after beginning his career as a Barristers’ Clerk in 2007. He joined Chambers to assist the silks’ clerking team, and has progressed to his current position of Chambers’ ADR Clerk. 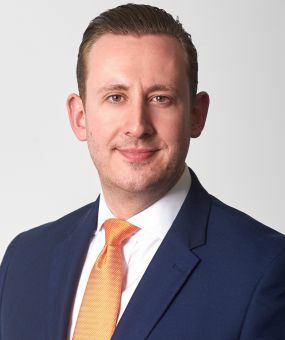 Oliver is responsible for the management and development of all aspects of ADR in Chambers and for those members who are full-time arbitrators, adjudicators, expert determinators and mediators. This includes diary management, work allocation, negotiation and billing of fees and expenses, and liaising with professional and arbitral bodies. Outside of Chambers, Oliver enjoys spending time with his family and is keen sports fan with a particular interest in rugby, both playing and watching. Oliver is also part of the Keating Chambers’ band, taking part in Law Rocks! (a global charity which fundraises through setting up battle of the bands events for legal organisations).